It's time for the fun-fast paced 3v3 Live Tournament you know and love. Get hundreds of good “in game” touches and see your skills soar in this Regional qualifying event. Parents or coaches can register and coach in this Tournament. All teams will play a minimum of four games. 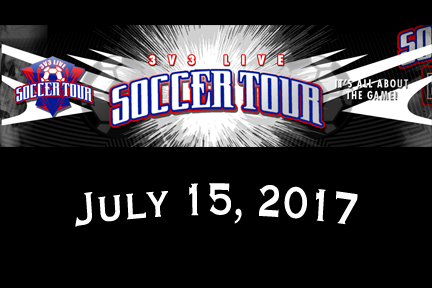 All players will receive an official 3v3 Live Soccer Tour tournament t-shirt. The top three teams in each division will receive custom medals for each player. Be part of the largest Soccer Tour in N America! Play against players from across your State, Region and Country at our Regional and National events. With 200 annual events we’re sure to be at a field near you! Championship teams will get to keep the very high quality Hummel Match ball!